This Finnish design house is a longtime favorite of mine, thanks to their minimal aesthetic, assertive deployment of color, and bold, super-graphic prints. Before my therapist moved offices, I’d walk home from my appointments down Fifth Avenue and go right past their Manhattan flagship, and was almost always drawn in. But there was so much to want that I’d feel paralyzed and end up leaving the store with nothing at all (except this umbrella, once, when it had unexpectedly started to rain). 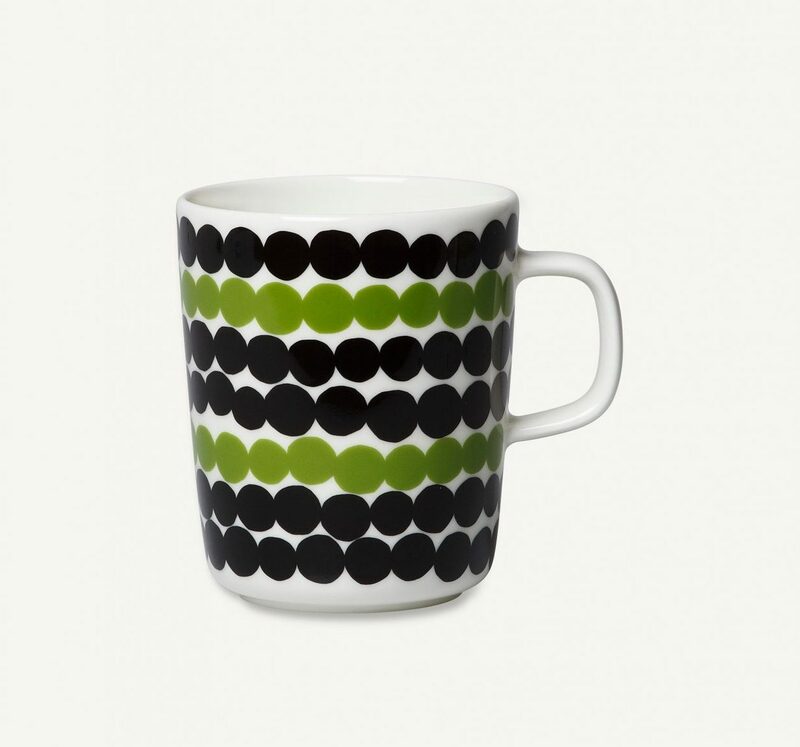 Here’s everything I’d buy if I wasn’t such a flake, starting with this mug—I’d never think to put black and green together, but it totally works here. 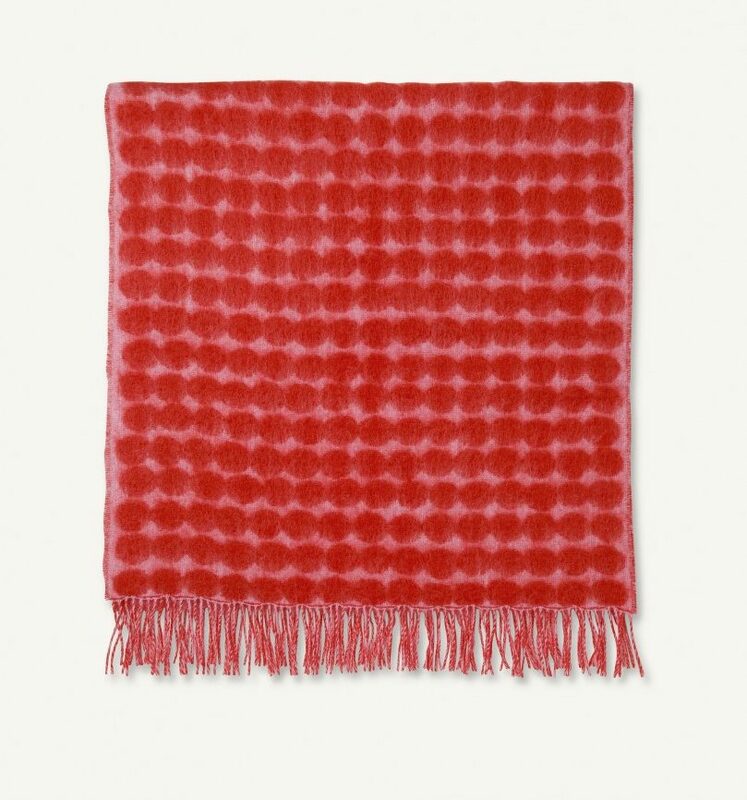 I don’t know why the dots-on-pink thing doesn’t come off as too cutesy on this throw, but somehow it just doesn’t. 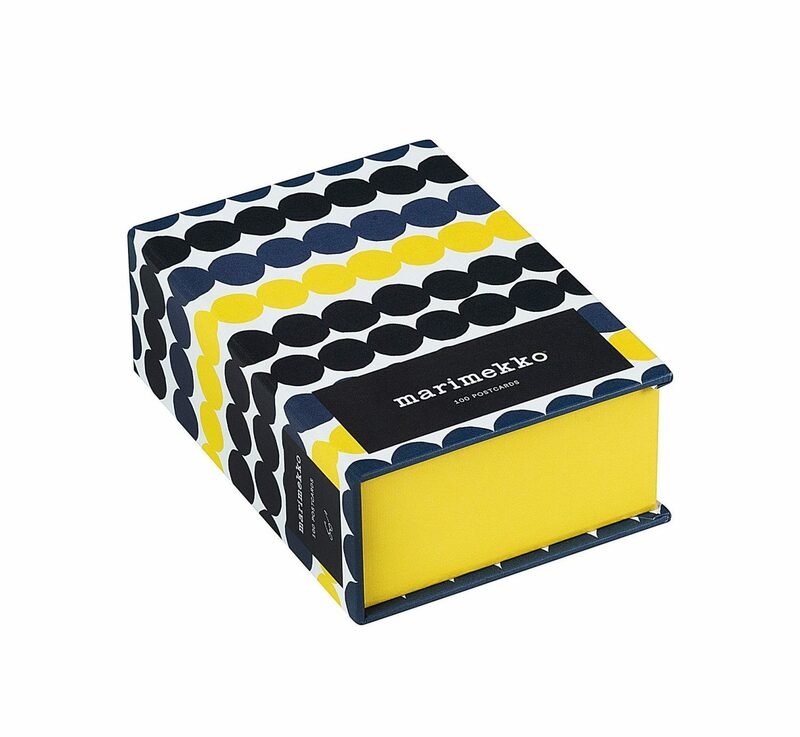 This box set contains 100 postcards of 50 different classic Marimekko prints, and if you’re a note-writer (which is such a lovely thing to be) it’s a must-have. 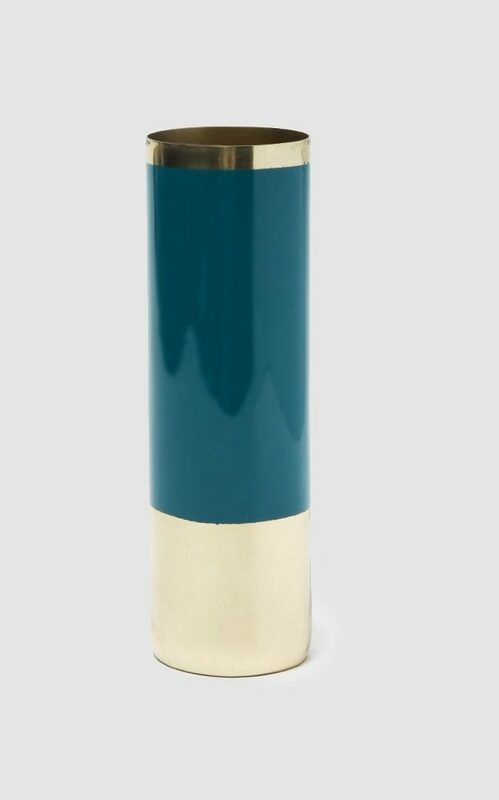 Also, it’d make a fantastic gift. 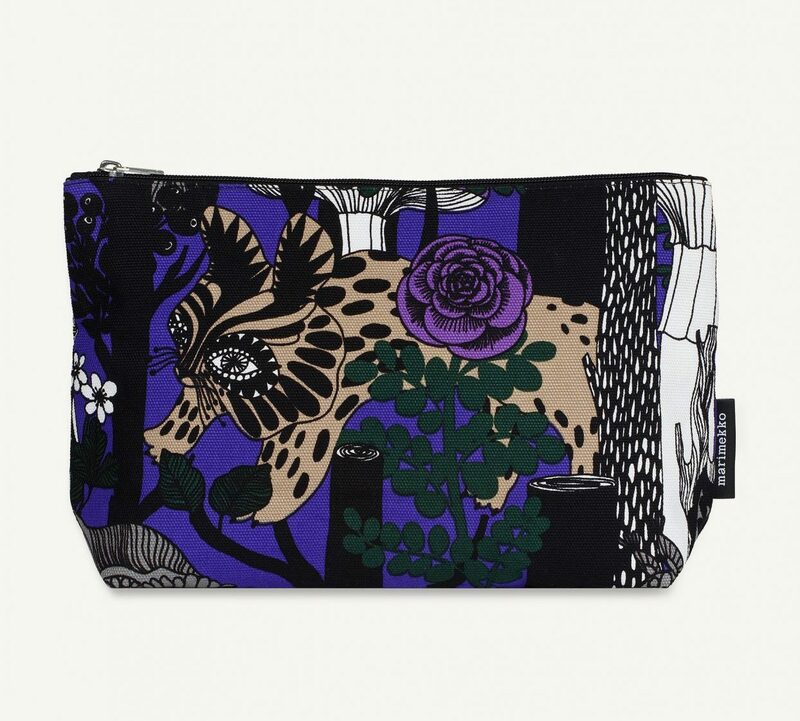 A kind of trippy cosmetic bag. 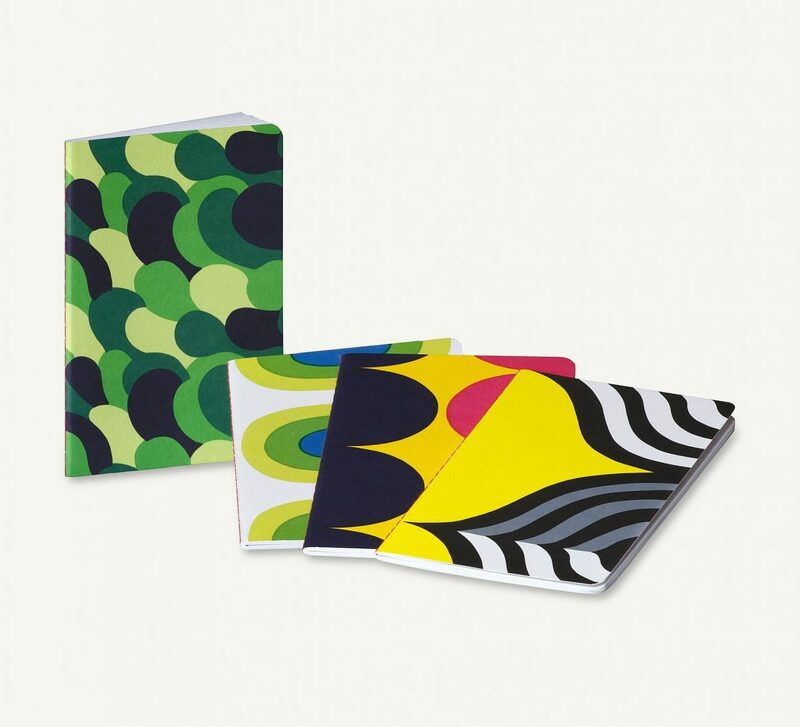 I always carry a small notebook in my handbag in case I suddenly remember something I was supposed to do, or a friend mentions a good book or whatever, and these are happy and bright and as eensy as I require. 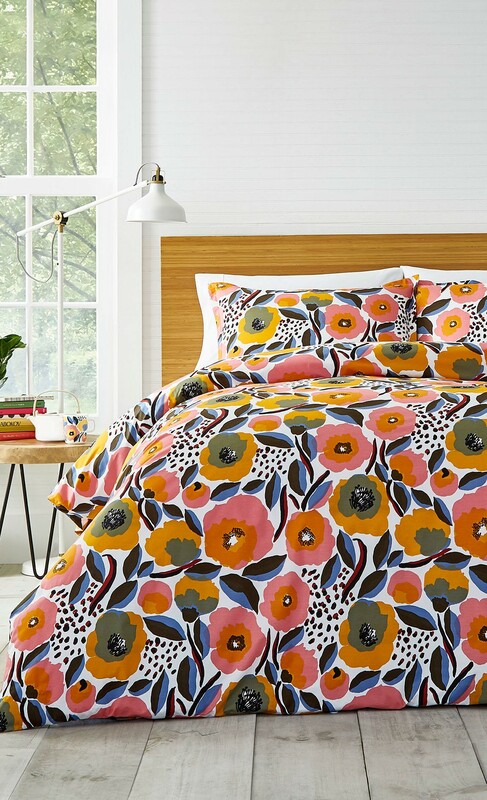 Such a bright floral explosion on this duvet set. If it wouldn’t clash horribly with my headboard, I’d go for it. 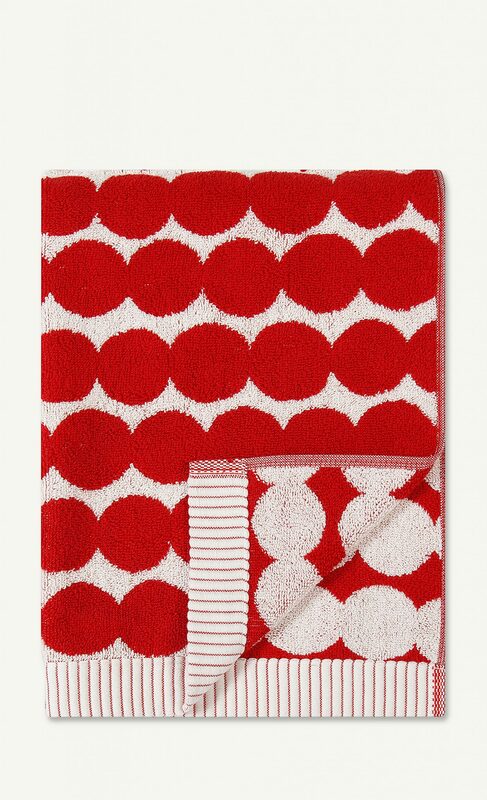 A hand towel that would bring a little excitement to even the dullest bathroom. Michele Quan is J. Crew model-turned-ceramicist (she also used to be one half of the twosome responsible for jewelry brand Me & Ro) who turns out some of the most gorgeous pieces I’ve seen (check it out here). 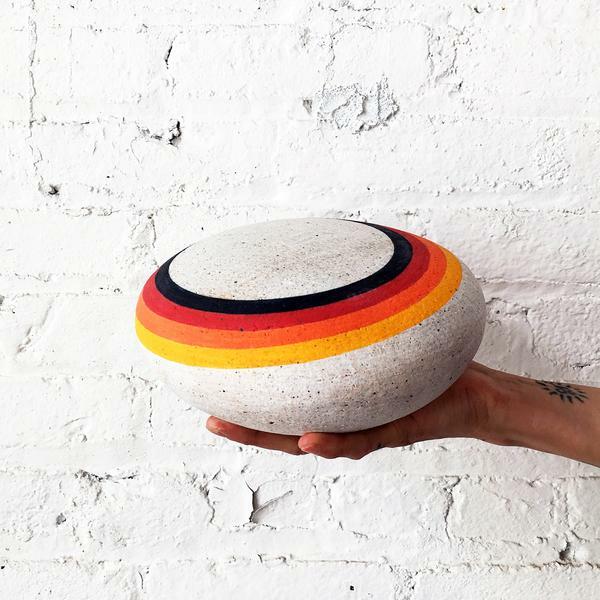 I obsessed over this rainbow rock for ages before finally pulling the trigger, because it’s not cheap and it performs no function except to look cool, so I couldn’t apply the cost-per-wear/use model in order to justify the purchase. But I’m so glad I went for it, because it is such a pop of happiness on my coffee table. 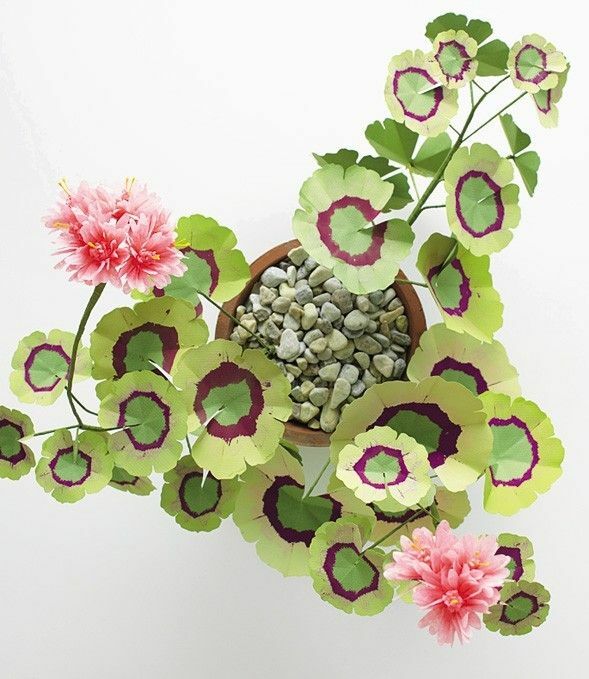 This almost-too-excellent paper geramium plant was a gift from me to me after recovering from pneumonia last winter (I had wanted it, too, for ages). 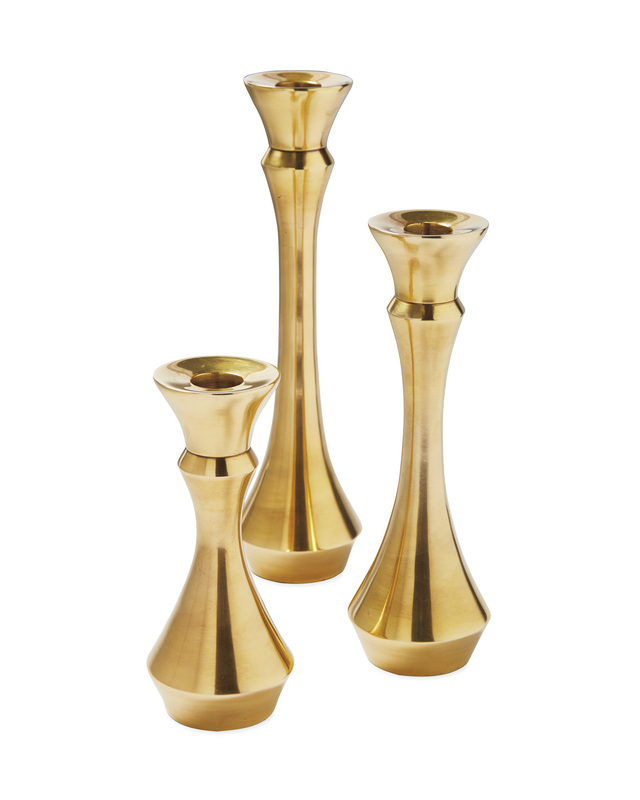 This vase has the magical ability to compliment any flower I put in it. 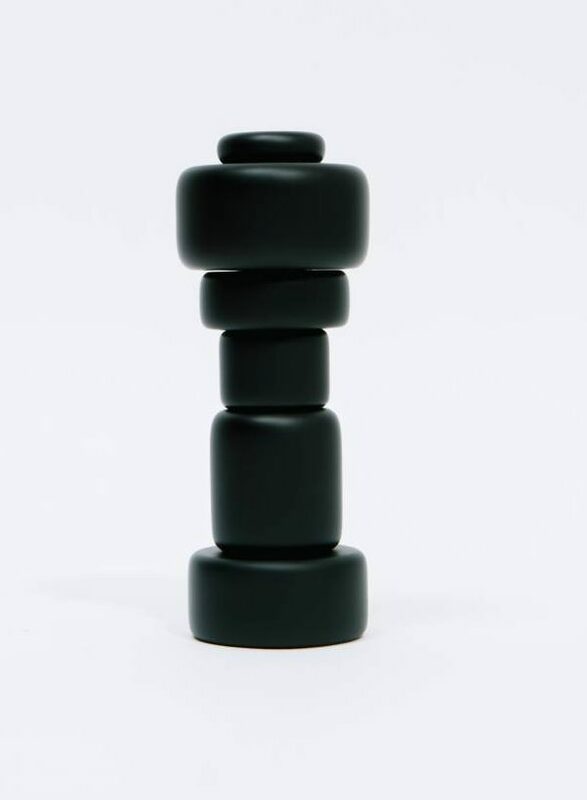 I actually have this fun, sculptural pepper grinder in red, but that color appears to be discontinued so I bring you the black version, which is also quite good. 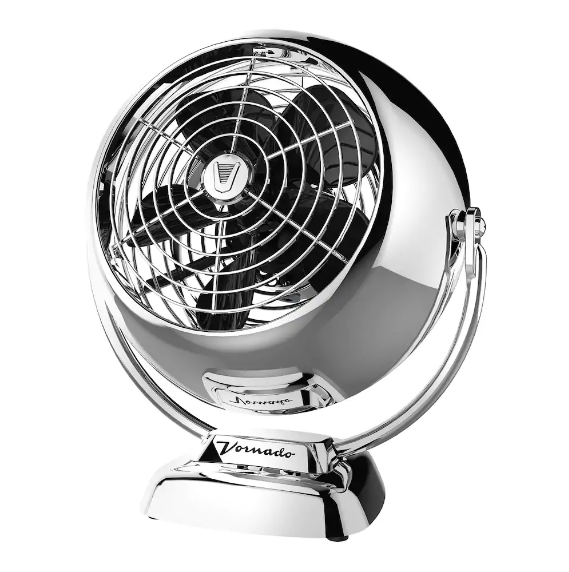 Vornado makes the best fans, but they’re so ugly; this one is modeled on one of their vintage designs, and I find it infinitely more appealing. Everything on this home design site is 20% off until 11:59 p.m. tomorrow, so hop to it. 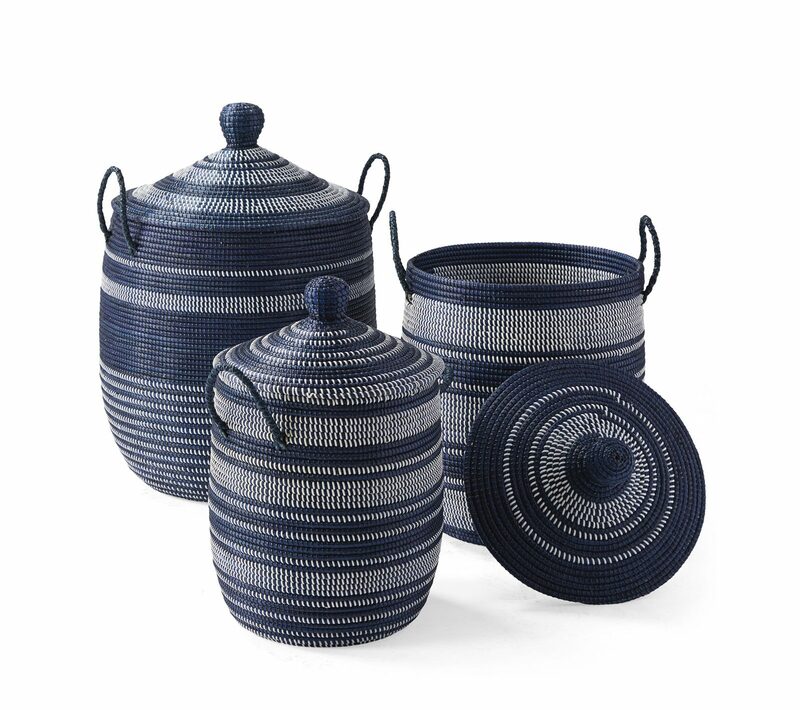 I think these baskets are nice and graphic and very sturdy-looking. 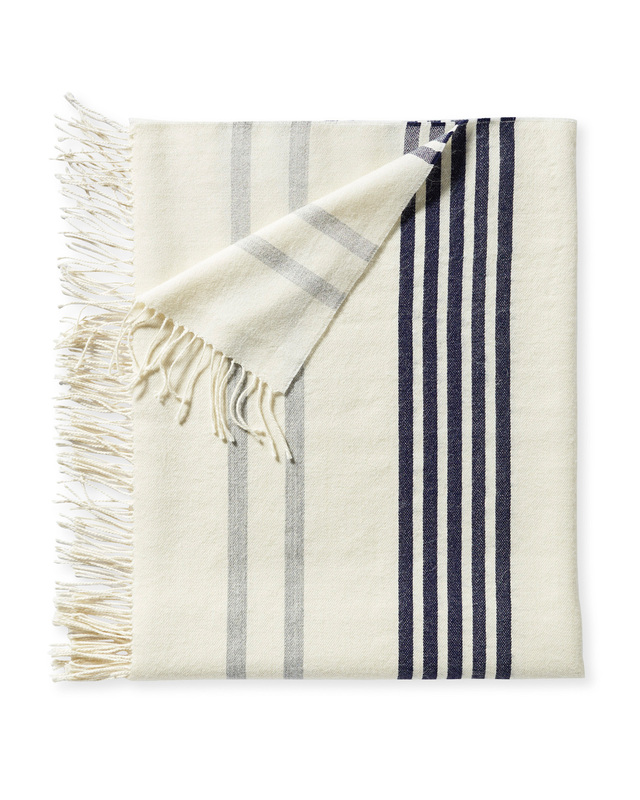 An alpaca throw that could bring some much-needed excitement to my sofa situation. 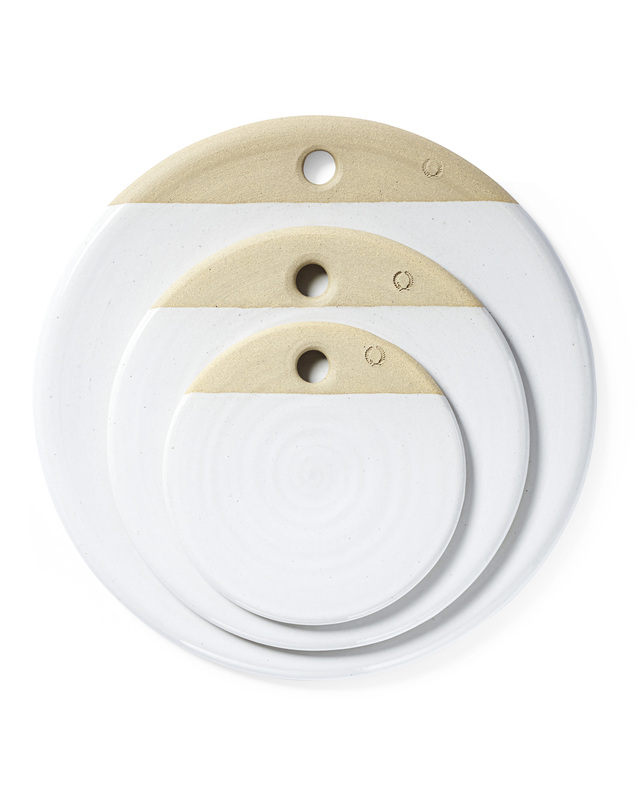 I always just serve cheese on a regular old plate when I have company, but one of these cheese stones would be so much more elegant. 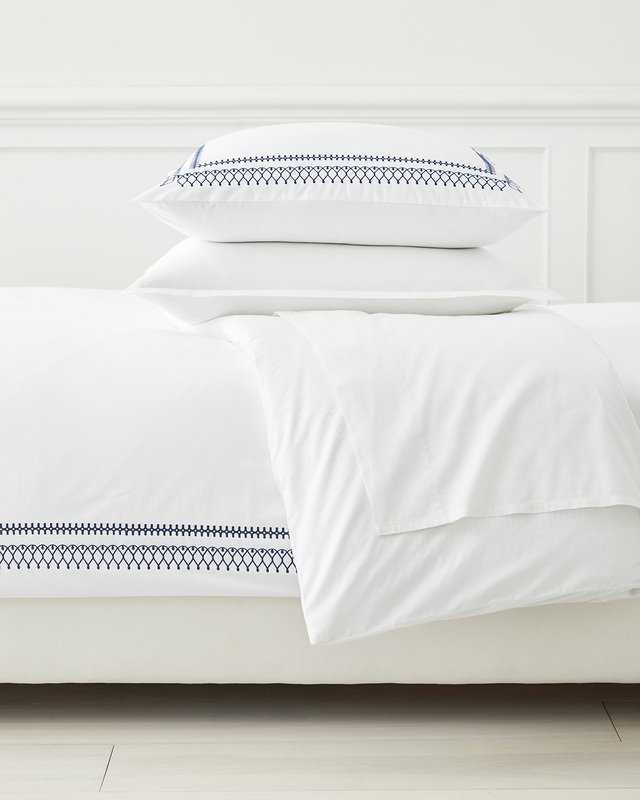 A lovely embroidered duvet cover. 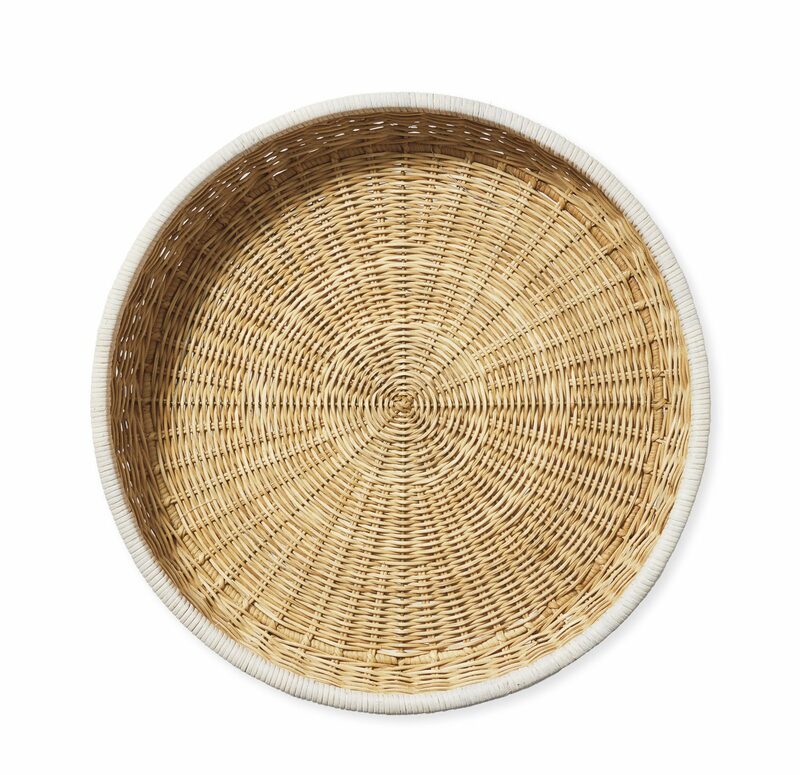 I don’t know why this wicker tray appeals; I think I want to be the type of person who entertains more, and owning items like trays would maybe facilitate that. 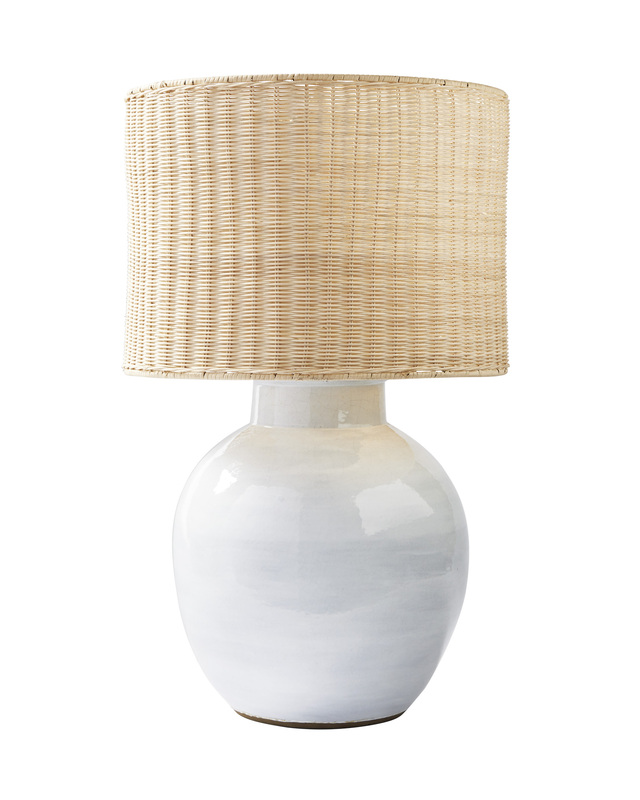 I’m in the market for a couple of table lamps, and this one is so cool and beachy-looking.